Is honey vegan. ………………Here are the reasons I think honey and other bee products are vegan. Honey is basically flower nectar. All the bees do is gather it and dry out the excess water. Pollen is just gathered and stored in its original state. If being touched by a bee makes it not vegan, than 90% of all fruits and vegetables are not vegan because they have been pollinated by bees. The other argument against honey is. “it is an exploitation of labor, or animal slavery.” This may be the case in some of the larger commercial apiaries . But comparing them to back yard beekeepers. Is like comparing industrial farming to organic farming. It is unfair to say that all farming is bad for the environment because of what big ag does with their chemicals. 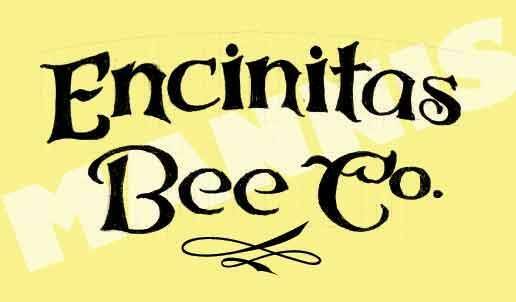 Back yard beekeepers tend to love their bees and take really good care of them. I see what bees are up against in the wild. It is no cake walk. Ants, mites, raccoons etc are a constant threat. Backyard beekeepers care and protect their bees from all of this. Honey is something that is produced to endure long cold winters. 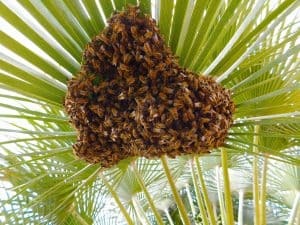 As we don’t have those in San Diego, Bees often make too much honey, get honey bound and die. Putting a beehive in say an orchard of apples or a field of tomatoes, can be a symbiotic relationship between man and bug that is beneficial to both. Being in the live bee removal business and seeing wild swarms on a daily basis, I can honestly say that bees often pick horrific places to set up shop. where they have a 0% chance of surviving. It is up to ethical beekeepers to save these bees, and keep all those fruits and veggies flowing to the vegan table.